A lighthearted survival guide for the holiday season, brought to you by the Emory Brain Health Center. Remember what's important - Think about what you want from this holiday and how you can get it. Remember the holidays aren't about spending money, making gourmet food or stressing out, but about being with people who care about you and whom you care about, creating new and positive memories, and taking time to reflect. Be compassionate toward yourself - Be kind to yourself and accepting of your thoughts, feelings and reactions. Prioritize doing enjoyable and relaxing things that serve as a breather and/or recharge your batteries, like listening to music, reading a book, playing computer games, or socializing with others possibly outside your family. Keep yourself healthy by exercising, eating and sleeping well, resting when your body tells you to, not excessively consuming alcohol, and not overdoing it. Say no and set limits, but do so nicely and before you reach your breaking point, and try not to feel guilty about it.. Don't overextend yourself, or you will feel burdened, exhausted and resentful. Focus on the present - Attend to the present rather than dwelling on past memories, especially painful ones, or worrying about what lies ahead. Set aside differences with others, build common ground, and share in warm and positive activities and conversations. Be open-minded in your attitudes about how others close to you choose to celebrate in the present. Practice forgiveness and acceptance towards others with whom you have a challenging history, and if you need a break from them to be able to do so, take one. Be realistic - Don't try to have the perfect holiday, rather focus on having a time of good connections, caring, compassion and enjoyment. Choose old traditions to hold onto and create new ones that fit better with your family in the present time. 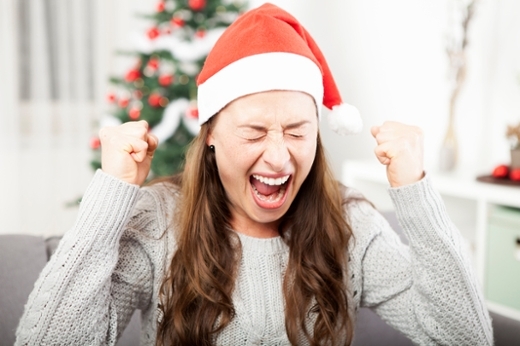 Set realistic expectations about gifts, holiday activities and family interactions. Avoid overspending by setting a budget and sticking to it. Ask people what they want and get them that so you don't have to play a guessing game. Plan ahead as much as you can in terms of shopping, cooking and baking, visiting friends and family and getting others to help with the chores. Keep your missteps and the missteps of others in perspective, don't blow them out of proportion and go with the flow. Have healthy conversations - Remind everyone that holidays are times to express gratitude and give thanks for what you each have, including each other. Role model expressing such appreciation. Focus on what the family has in common, rather than on disagreements. If possible, set aside differences until a more appropriate time for discussion. Plan and participate in fun activities - Plan and participate in activities your family can do together that foster a good time, like playing games, or looking at pictures, or sightseeing. Plan a family get together, where everyone contributes so no one person or family unit feels too burdened. Acknowledge your feelings - Acknowledge and share your feelings, even if they are not positive ones, and don't keep them bottled up or feel badly about them. Recognize that all feelings are normal and understandable, whether grief about a loved one not being there, or sadness about being alone, or anger about past mistreatment or abuse, and don't feel you need to pretend to be happy. Reach out and make connections - Reconnect with positive people in your life or form new connections. Reach out to others for support and companionship if you feel stressed or lonely or if you want to be with others and relax. Talk about your concerns and find solutions to the things that are bothering you. Accept help from supportive family and friends, as it can empower you to handle life's challenges more effectively. Be compassionate toward others - Give to others through your words and actions. Convey to others empathy for their pain and struggles, acknowledge similarities between yourself and others, and display kindness toward others with small actions and words. Consider inviting people into your family and home who need a family or a place to be. Volunteer at a local charity and help others in need. Give to a community charity that supports individuals or families during this holiday season. Remember that giving to others can lift your spirits and improve your self-esteem, help you put your struggles in perspective, provide a vehicle for making and broadening your social connections. Seek professional help - Seek professional help if the holidays have been emotionally stressful for you in the past, if you anticipate the upcoming holidays will be unusually challenging, if you find yourself becoming overwhelmed emotionally and unable to function well or if you feel suicidal or like harming someone else.